FAIRFAX STATION, Va. — Police are investigating what they call an apparent homicide on Colchester Road in Fairfax Station on Wednesday. A passerby saw a man lying on the side of the road a little before 7 a.m. on Wednesday in the 6500 block of Colchester Road, Fairfax County police Sgt. Aaron Pfeiff said. Responding officers saw the man had trauma to his upper body and rescue crews “determined that he was dead on the scene,” Pfeiff said. Police said no weapons were found. Detectives could be seen taking pictures in the road from behind yellow police tape and black barriers they had set up. Investigators are now awaiting results from the medical examiner’s office. Pfeiff added that police do not believe there is a threat to the public. Few other details were given and anyone with information is asked to contact police. 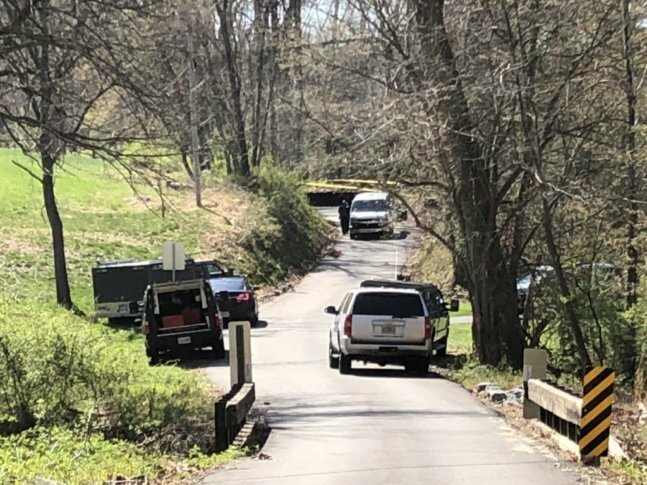 The man’s body was found not far from a railroad overpass that has become well known to some for its connection to local urban legends. The Colchester Overpass, also known as the “Bunny Man Bridge,” is the site of several frightening legends about a man in a bunny costume.